There are solar calendars, lunar calendars and lunisolar calendars. Which one do you use? For me, it depends on what mode or mood I am in. 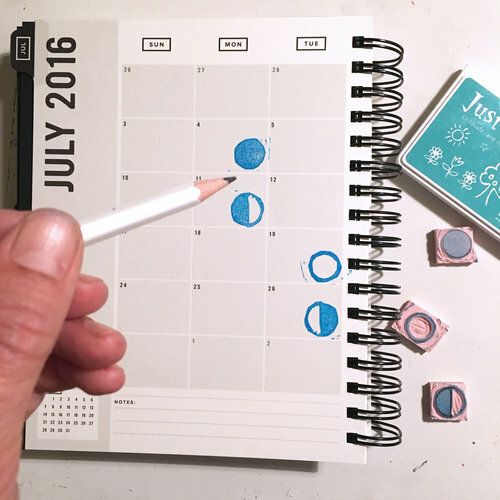 I use the New Moon Calendar/Journal to track personal growth. When I am in the zone of planning and getting stuff done, I use the Get To Work Book. Why don't the moon phases and months line up? The commonly used Gregorian calendar established 12 months, but the moon has almost (but not quite) 13 complete lunar cycles per solar year. Cultures around the world created a variety of calendars that work with these natural phenomena. 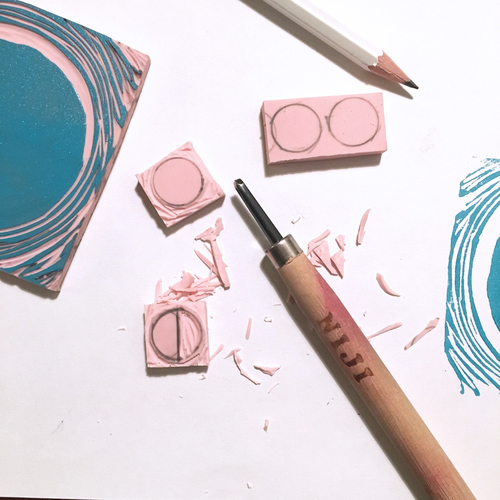 To support your journey to connecting with the cycles of the moon, check out the video tutorial that goes through the steps for creating moon phase stamps. This article was originally published on themoonismycalendar.com, and has been reposted here with permission from the author, April Mcmurtry. April Miller McMurtry is a visual artist, lunar coach and educator. Her work reflects her passion for nature-based cycles, personal mythologies, and symbolism. April has fifteen years experience working in education as a classroom teacher, workshop facilitator and program coordinator at home and abroad. April's formal education includes a B.A. in Art History from UC Santa Cruz and an M.A. in Teaching from SIT Graduate Institute in Brattleboro, VT.
She currently resides in the San Francisco Bay Area and is a mother of two daughters. The New Moon Calendar/Journal, was born out of a vision to create a beautiful and simple tool for women to connect with their physical, emotional, and creative selves within the context of the phases of the moon. If you would like support accessing the wisdom of the moon in your life, contact April for a Moon Tracking Consultation.